We are so excited to be rolling out our NEW Social Media Linkup party! It is always good to spiff things up and make them better so that is exactly what we did! We took the MMM link up party and improved it, and of course with the improvements came a brand new name! But thats not all! To go along with our new name we have some really exciting new features that will really help your blog grow! One of the best ways we want to help you grow is to feature a blogger every week! If you get featured you will be able to share a short summary about yourself and your blog! We will include your social media information too! That is some great FREE exposure for you and your blog! 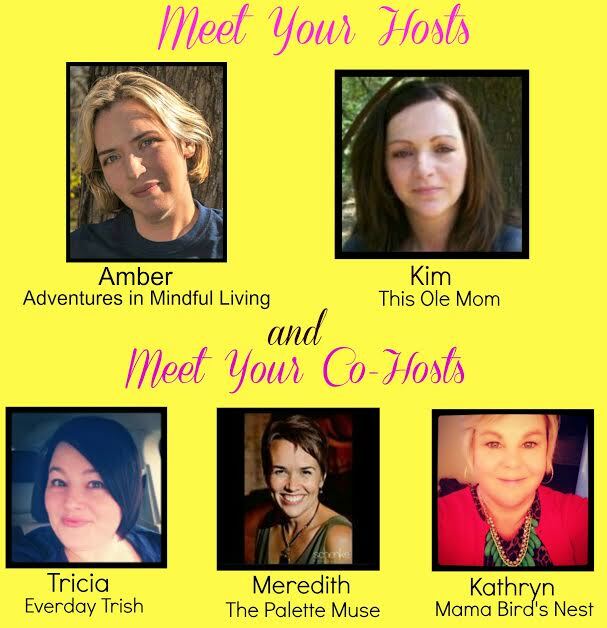 We are always looking for new monthly co-host so if you would like to be considered please contact Adventures in Mindful Living or This Ole Mom through one of our social medias and let us know! Come say hello to your Hosts and Co-hosts! 1. Please follow your hosts and co-host on at least one or more of their social medias! It is just good blogging manners! (Plus if you want to be considered to be featured this is a requirement). You can find all of our social media in the links above! Have you already followed us on one? Find another one to follow us on! We post great stuff on all of them, you won’t be disappointed! 2. This link up is all about networking and meeting new friends! Make sure to visit at least two other links on any list you leave your link on! This makes it fun and really helps get the exposure on all the blogs that they deserve! You are all awesome- now go meet some other awesome people! Now if you want to be super awesome you can always tweet, share,+, or pin this link up!